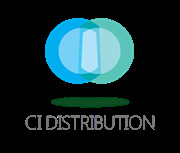 Ecommerce solutions for CI Distribution resellers, VARs and MSPs, and a compare the market service to find stock in distribution. Founded in 1983, Centerprise International is one of the largest and most respected IT providers in the UK. As a UK distributor for many international brands, we pride ourselves on meeting the needs and expectations of our customers on time, first time, every time. Our extensive range of products that we distribute includes a wide range of computer systems, components, peripherals, Gaming products, Refurb, Barebones, CCTV, Smart Home and laptops all backed by a unique range of value-added services from hard drive encryption or data erasure to bespoke “Build-to-order” PCs..